If you could have any pet you wanted, what would you choose? A puppy, a kitten – or a DINOSAUR pet? 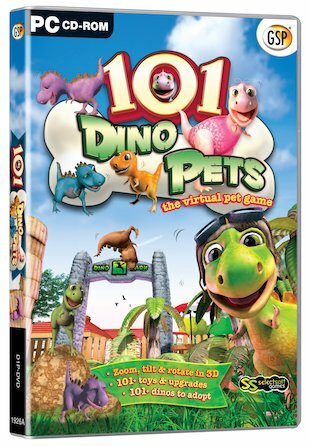 This brilliant CD-ROM game lets you adopt and care for 101 dinosaur pets of all varieties! From cute Brontosauruses to tough Triceratops, you get to feed them, train them and look after them. So if you’ve ever wanted a dinosaur pet, get yours here! Looks a bit like dinosaur train on nick jr 2 and a tich cute!